This 19 year old broke probation and took a $40 taxi ride to his parent’s house carrying his pet gerbil in a birdcage. The taxi driver is demanding his money while the young man is franticly asking his mother for food for the gerbil. The young man had run out of food for the gerbil and knew that his mother would know what to feed it. He could not be sidetracked. 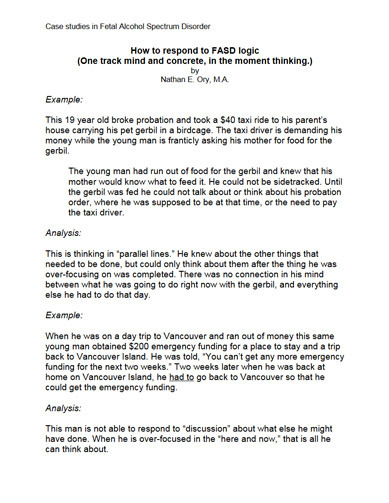 Until the gerbil was fed he could not talk about or think about his probation order, where he was supposed to be at that time, or the need to pay the taxi driver.